Privilegedly situated in a beautiful location on the Great Jasmund Bodden, the Schlosshotel welcomes you in its historic atmosphere. 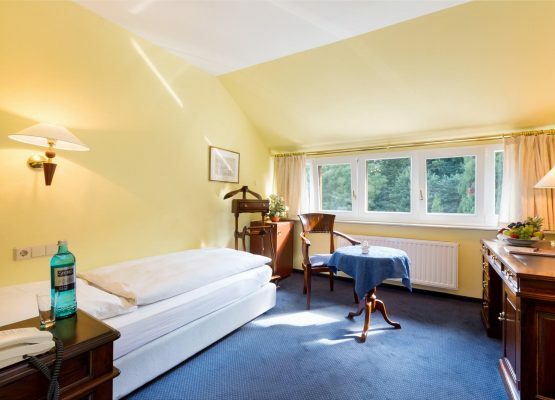 The hotel on Rügen, which combines tradition and romance with modern comfort. Rooms with unmistakable style. Regional cuisine in the restaurant. Relaxation in the wellness area. Enjoy the authentic ambience of the Schlosshotel and make your holiday an unforgettable experience. The SchlosshotelRalswiek. Vacation with all senses. Far away from everyday life, the scenery of the Schlosshotel welcomes you to experience a few days of complete peace and relaxation. Whether at a romantic candlelight dinner, a visit to the Störtebeker Festival or two glasses of sparkling wine in front of the fireplace - with us you can enjoy your togetherness. 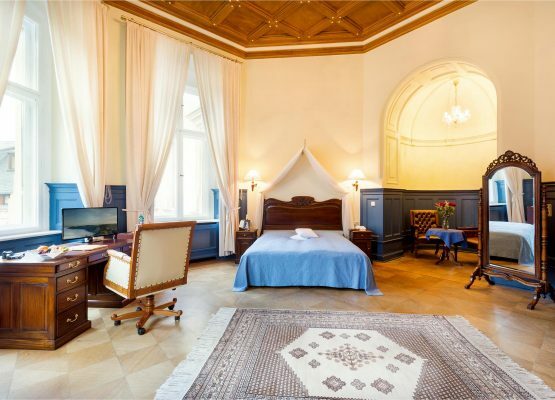 As a branch of the Bergen registry office on Rügen, you can make your dream come true and get married in the fairytale ambience of the Schlosshotel. Sea.love.experience. 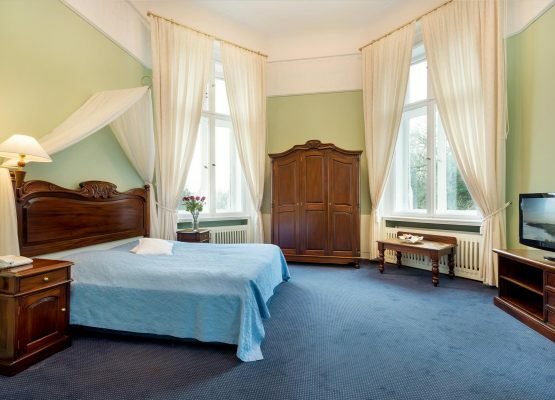 Welcome to the Schlosshotel Ralswiek! Dine in our Schlossrestaurant as you would during Count's time. Our chef Bernd Krage and his team will prepare regional classics and other exciting dishes for you, which we serve in the historical atmosphere of the restaurant or on the terrace overlooking the Great Jasmund Bodden. As a certified restaurant of the "Regional Food Culture Rügen", we attach great importance to quality and products produced in the region. Schlosshotel Ralswiek can celebrate any event. Let your celebration become an experience in one of our historical and unique rooms. For further information as well as wishes and ideas we are at your disposal at any time.